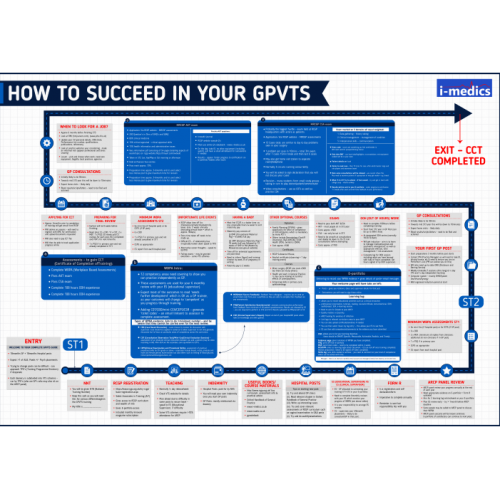 All the vital information on How To Succeed in Your GPVTS in an easy to digest HUGE A1 Poster format. FREE deliver included! All the common questions, issues and worries answered.